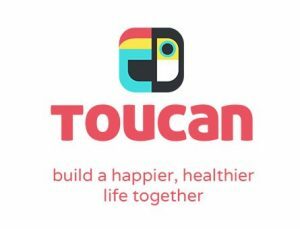 We are excited to launch Toucan – a fresh and unique online experience for couples, giving tools to build a happier, healthier relationship. Most of us want our relationships to bring love, joy and meaning to our lives. We invest time and effort in our careers, hobbies, health …and even cars! Why not invest time in the most important thing you have? Make use of those spare moments in your day and start investing in your relationship. It’s worth it! Develop and deepen your communication. Resolve conflict in healthy ways. Helpful and revealing exercises to engage with. Stories and insights from real couples. Bookmark and add notes for content you like. Couple Times to talk and apply what’s relevant. Action Points – turning your intentions into action. 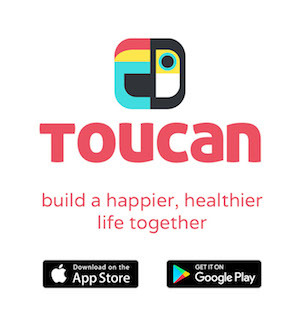 Toucan Tracking – see your relationship health improve. Relationship Fuel – a fun way of seeing what you’re putting in. Bonus material for those who want more. It’s new, unique and completely FREE …Donations welcome! Simply sign up for a free account. Invite your partner to join you now or give it a try first and invite them later. Choose a module and work through it at your own pace, wherever you’re online. Start with our first module on Communication (further modules are being developed). Experience bite-sized video clips, real stories, and simple exercises all packaged in small 5-7 minute segments. Bookmark material, make notes, and discuss it with your partner along the way. Carve out space with your partner to work through a Couple Time that will spark meaningful conversations about topics you might not have discussed before. Watch the change in your relationship begin with Action Points, turning good intentions into action. Enjoy the extra dashboard features: Watch your Relationship Fuel go up! Track your relationship health benefits. Revisit content, Action Points and check out bonus material, as well as new modules to build a happier, healthier life together.